5 capacity rack sits on counter, shelf or desk. 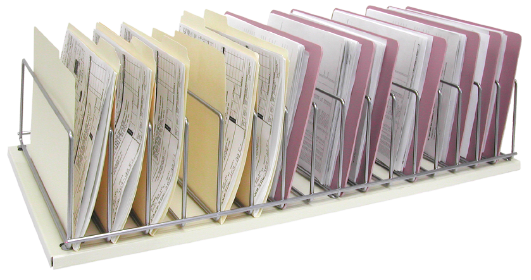 Organizer holds top or side opening chart binders, spring loaded chart holders, clipboards, file folders or other records. 10 capacity rack sits on counter, shelf or desk. Organizer holds top or side opening chart binders, spring loaded chart holders, clipboards, file folders or other records. 15 capacity rack sits on counter, shelf or desk. 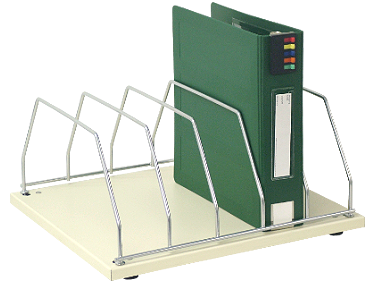 Organizer holds top or side opening chart binders, spring loaded chart holders, clipboards, file folders or other records. 16 capacity rack sits on counter, shelf or desk. 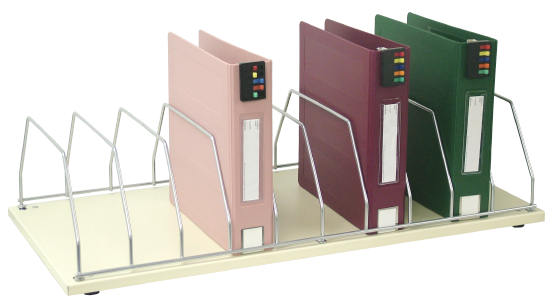 Organizer holds top or side opening chart binders, spring loaded chart holders, clipboards, file folders or other records.